Picture from group : Central and very bumpy is Slieve Daeane with Killerry left of it in this view of ascent. 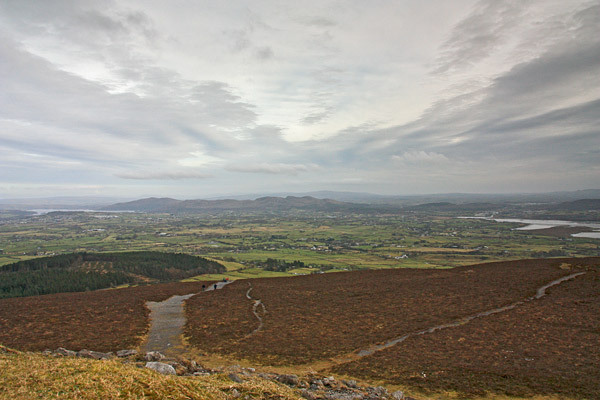 Picture: Central and very bumpy is Slieve Daeane with Killerry left of it in this view of ascent. Easy walk up a very dominant feature. The distinctive flat-topped shape of Knocknarea with the large 10m high tomb on top is a natural magnet from a long distance in Sligo, particularly to the west of the town and towards Strandhill. It's very visible from the N4.